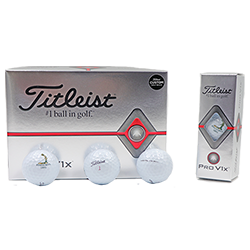 The new ProV1X ball is designed for maximum distance and the best short game control to help golfers shoot lower scores. Its new casing layer increases ball speed and lowers long game spin. Each ball comes with the Putter Boy logo.